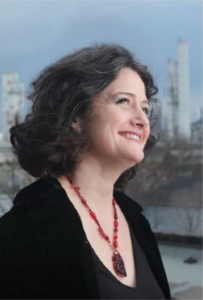 Lynda is a professional theatre director, dramaturge, arts educator and arts leader with a passion for the creation and development of new work, new artists and new audiences. 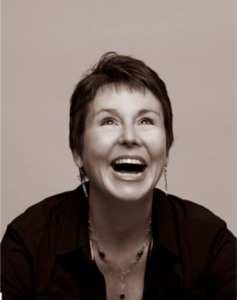 Lynda Hill has led the organizational and artistic direction of Theatre Direct since 2001. She has commissioned numerous new plays for the company and guided the successful production of 19 productions, 12 of which were original commissions including And, By the Way Miss…, Beneath the Banyan Tree, Binti’s Journey, Sanctuary Song and most recently Old Man and the River. The company’s productions have been seen by thousands of young people across the country in schools, theatres and international festivals. Lynda is a mother of two children, Tessa and Quinn, who, along with her partner James Roy, live in Toronto’s West end. Kelly Wolf is a Set and Costume Designer who is interested in exploring ways that design can augment the theatrical experience. She has designed for many theatres across Canada ranging from small independent companies to the major festivals. Recent designs include: Waiting Room (Tarragon), Quiver(Theatre Aquarius Studio) Commercials for Hamilton (Hammer Theatre- Staircase), The Old Man and the River (Theatre Direct), Midsummer Night’s Dream– costume (Citadel Theatre), Sound of Music– set (Drayton). Designs for Stratford Festival and seven seasons at the Shaw Festival, Theatre Calgary, Citadel Theatre (Edmonton), Blyth Festival, Factory Theatre, The Grand Theatre, CanStage, MTC. Recent designs for Sheridan College: Legally Blonde (sets), In the Heights, Spring Awakening, Humber College: 2ndYear TYA collective, Caucasian Chalk Circle, Instructor at Brock University. Kelly is a graduate of York University (BFA) and the University of Toronto (MA) as well as the Central Saint Martins College of Art and Design. Jennifer Lennon is a Toronto-based lighting designer for live performance. Recent design credits include: Concord Floral (Theatre Kingston), Suffragette(Opera 5), Stupidhead! (Theatre Passe Muraille), The Millennial Malcontent (Tarragon), Walk Me To the Corner: An Evening with Brent Carver(Harold Green Jewish Theatre Company), The Container(Theatre Fix), Bombay Black (Factory Theatre, Dora Award), Banana Boys (Factory Theatre), and The Twelve-Pound Look(Shaw Festival). She also acted as lighting coordinator for Theatre Direct’s 2016 WeeFestival of Theatre and Culture for Early Years. She is delighted to be back helping to make magic with Old Man and the River. Mr. Woolfe is an actor, playwright, puppeteer and magician. His award winning company, Eldritch Theatre has presented the critically acclaimed Madhouse Variations, The Babysitter, The Strange & Eerie Memoirs of Billy Wuthergloom, Dear Boss, Grendelmaus, and Sideshow of the Damned. 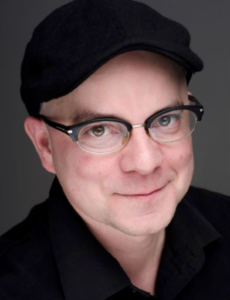 Some of his other work includes The Comedy of Errors (Humber River Shakespeare), Little Shop of Horrors (Canstage), and Timon in Disney’s The Lion King. His film and TV credits includeMurdoch Mysteries, New York Minute, Anonymous Rex, Doc, Due South, Traders, Beyblade, and most notably, George Romero’s modern zombie western masterpiece, Survival of the Dead. Mike Petersen’s career began on Fraggle Rockin 1984. 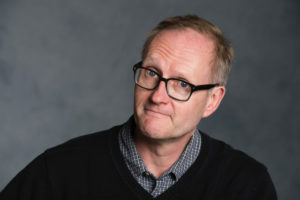 He has since performed across the country and around the world with such companies as Mermaid Theatre, Neptune Theatre, Kaleidoscope Theatre, the Edinburgh Puppet Company, Poland’s Teatr Arlekin, and Theatre Beyond Words. Film and television credits include Fraggle Rock, Labyrinth,Emily of New Moon, The Mighty Jungle, Toopy & Binoo Vroom Vroom Zoom, andMiss Persona. Mike created and performed in As You Puppetat YPT, and he teaches regularly at Camp Qualityand TAP– two charity organizations that use puppetry to raise awareness and promote kindness. 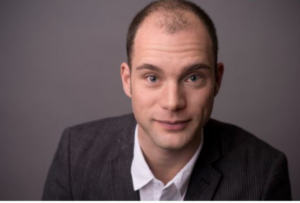 As a teacher of puppetry Mike has worked alongside Graham Whitehead at Mermaid Theatre, Allen MacInnis at YPT, Lynda Hill at Theatre Direct, and Seanna Kennedy, director of the first Canadian production of Avenue Qat Lower Ossington Theatre. Most recently, Mike directed The Very Hungry Caterpillar Showfor Joseph Patrick Presents. 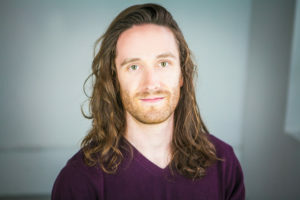 Jeffrey O’Hara is aToronto-based puppeteer and actor. He trained as a puppeteer with Mermaid Theatre of Nova Scotia, and has since toured internationally with their productions of Guess How Much I Love You and I Love My Little Storybook. He has developed a passion for working with young audiences, and is thrilled to be working with Theatre Direct on this beautiful show. Other credits include: Sam in Drunk Enough To Say I Love You? (D’Arcy Symposium); B in Noun (Atlantic Fringe Festival); James in Reader Be Thou Also Ready (Live Bait Theatre); Jerry in Once in a Lifetime (East 15); and Mayor Stockmann in An Enemy of the People (Windsor Theatre). Hilary is thrilled to be making her debut with Theatre Direct in this beautiful show. 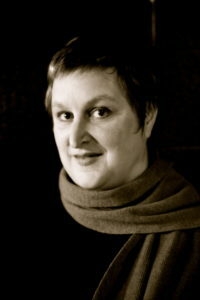 Hilary is a Toronto based performer but studied theatre and puppetry in Halifax, Nova Scotia. Hilary has toured internationally with Mermaid Theatre and most recently traveled to China with The Very Hungry Caterpillar and Other Eric Carle Stories. Other Recent credits include; Goodnight Moon and the Runaway Bunny (Mermaid), As Cast (Newmarket National Play Festival), Celia As You Like It,Goneril King Lear, Percussionist Pinocchio, Helena Midsummer Night’s Dream, Octavia Antoni and Cleopatra, Bianca The Taming of the Shrew, the Fairy Bartender Cinderellyand Jessica The Merchant of Venice(Shakespeare By The Sea), Phebe As You Like Itand Company Iliadby Fire (Two Planks and a Passion). Big thanks to my family and friends for their support in pursing my dream. 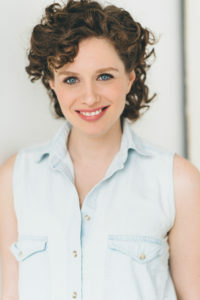 Alexandra Montagnese is an actor, puppeteer, and theatre creator. She has performed puppetry and mask at indoor and outdoor settings including SummerWorks, Kick & Push, Rhubarb, and Fringe Festivals across Canada. 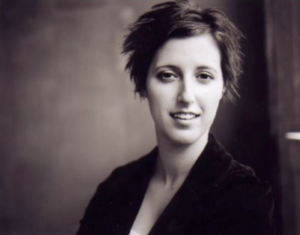 She has worked with Infinitheatre, The Other Theatre (L’autre theatre), Shadowland, Young People’s Theatre, Thousand Islands Playhouse, and Theatre Direct. She is a founding member of the Arts Collective LaPlante in Montreal where she curated, produced, built and performed in multidisciplinary art shows. With Lucid Ludic, she has co-created, and performed in both award-winning productions Brain Storm and her one person show Public Mischief. 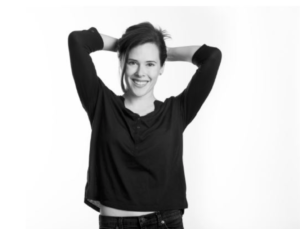 When she is not creating and performing, Alexandra is an arts educator, who has facilitated performance training in Montreal, Kingston and Toronto and most recently for York University in both the BFA acting conservatory. 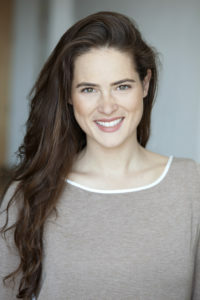 She has a B.A from McGill (English Drama and Theatre) and an M.F.A from York University in performance. Based out of Toronto, stage management is a career change for Elizabeth after many years with the City of Toronto. Theatre credits include: The Music Man, To Kill a Mockingbird, Shakespeare in Love, The Hypochondriac, The Sound of Music, The Taming of the Shrew, Love’s Labour’s Lost, As You Like It, King of Thieves (Stratford Festival); King Lear, Twelfth Night (Shakespeare in High Park, Canadian Stage); Comfort (Red Snow); A City, Divisadero (Necessary Angel); Bella: The Colour of Love (HGJTC), Anne of Green Gables, Canada Rocks! (Charlottetown); The Road to Paradise, Night (Human Cargo); The Barber of Seville (Soulpepper); Falling: A Wake (Blyth); Old Man and The River, Red Kite Project, Binti’s Journey, Head à Tête (Theatre Direct); Twelfth Night, All’s Well That Ends Well, Othello, A Midsummer Night’s Dream (SLSF); Danny, King of the Basement (Roseneath Theatre); Late, Black Medea (Obsidian Theatre).